Low-profile design and a table-top form factor allow the LX-24 to fit into almost any studio situation, requiring no holes or cut-outs in the furniture. The meter bridge features three sets of bright, ultra-high resolution LED meters, as well as LED talkbacks for auxiliary levels and pan control. A digital clock/timer is also included. 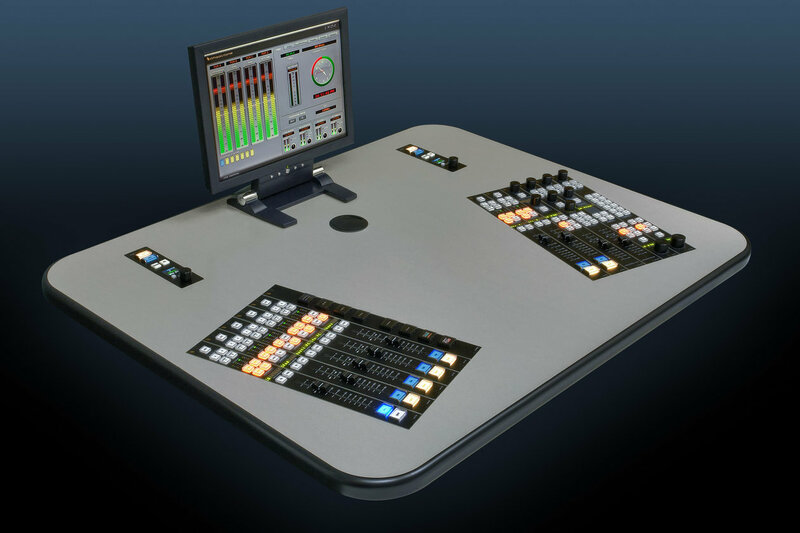 Each fader provides access to four stereo busses, plus four pre-fader aux sends, a stereo CUE bus, and four mix-minuses. 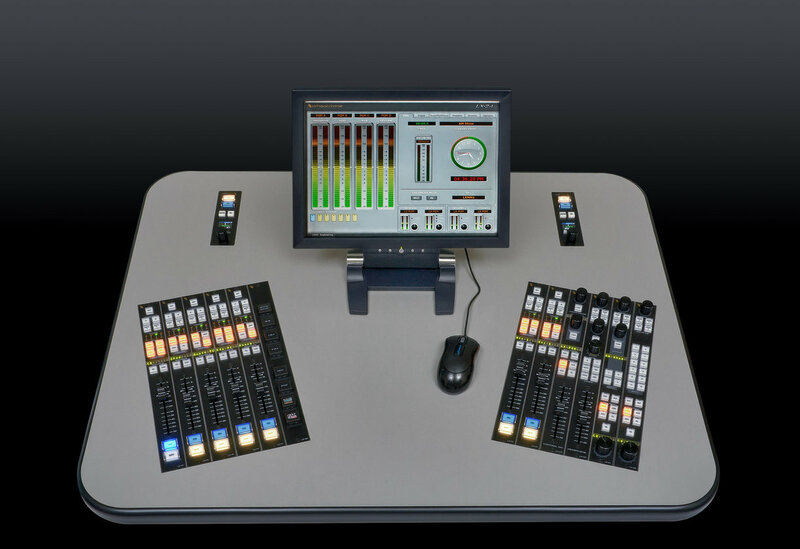 An LED source name display, an A/B source selector, and two programmable soft buttons are also available, and a SET button provides access to assignable controls in the master section. 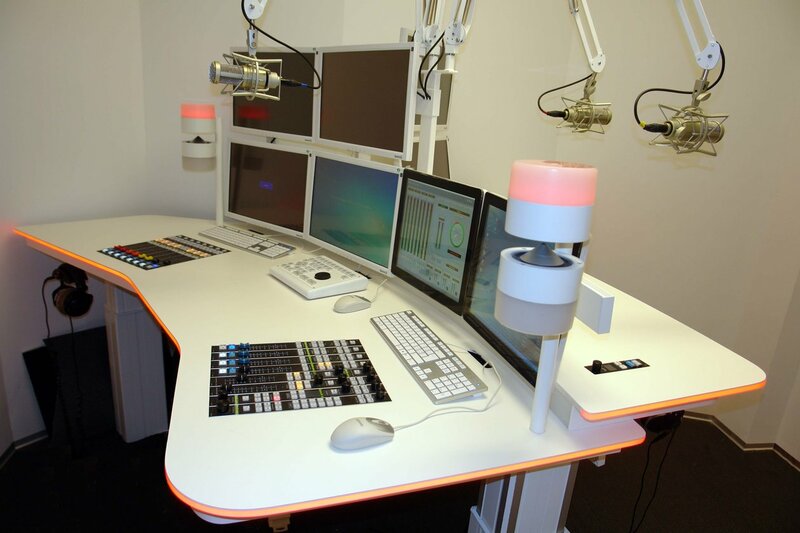 Control room and headphone outputs with level control and source selection are provided, as well as two independent studio monitor outputs. Stereo CUE speakers are built into the meter bridge. On-board VGA and USB connectors allow a monitor and mouse to be connected to the console for configuration ; they are not required during normal operations. Snapshots of the LX-24’s configuration can be saved and recalled at the touch of a button, making setup for different shows or dayparts a snap. The LX-24 is designed for use with Wheatstone’s WheatNet-IP Intelligent Network. An IP-88e Mix Engine BLADE provides the audio mix functionality ; additional BLADEs can be added for inputs and outputs in a variety of digital and analog formats. This I/O can be shared with other consoles and devices throughout the Intelligent Network.